Ashtanga Yoga, Yoga Chikitsa (Therapy), is a powerful ancient vinyasa based yoga that increases flexibility, strength and aerobic capacity while healing and detoxifying the body. Through a systematic approach, students are guided to develop a personal (Mysore style) practice to address their specific needs. Breath awareness, alignment and the internal therapeutic components of this system are emphasized. All levels of practitioners, even those new to yoga, will benefit from this dynamic practice. 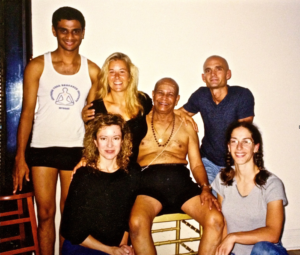 A sub-culture within a sub-culture, those practicing Mysore-style Ashtanga are a breed apart. Self-led and up for the challenge of deep inquiry into the impersonal self and body, practitioners of Mysore are the genuine spiritual warriors in the yoga realm. Michael brings decades of therapeutic bodywork to his adjustments, and leverages his knowledge of anatomy as well as his background in Vipassana meditation to provide his students with an energizing, educational and peaceful experience. Intense, light-hearted, demanding and joyful, these classes are not to be missed. SATISFY YOUR THREE YEAR CE REQUIREMENTS WITH THIS INTEGRATED PROGRAM. WORKSHOPS MAY BE COMBINED FOR A 1 OR 2 DAY WEEKEND INTENSIVE EVENT TO MEET YOUR YOGA COMMUNITY'S NEEDS OR AS PART OF A 1 OR 2 WEEK LONG MYSORE SERIES AT YOUR STUDIO OR RETREAT CENTER. The Alchemy of Ashtanga Series- Not just for Ashtangis. Students of all styles of yoga will benefit! Getting established and mastering the fundamentals of the Ashtanga practice will benefit anyone interested in creating for themselves a life-long a tool for self-care, gaining greater personal insight and having the best days ever. From Internal Healing Practices to Lifting up Jumping Back and Through - Understanding Kinetic Chains - Accessing Core Strength, Establishing a Daily Bandha Practice, Keeping it Safe - Understanding Alignment with Just Enough Anatomical Reference to Go Deeper without Injury, Deconstruction of Essential Gateway Postures, The Yamas - Re-tool the Mind and the Body Follows - Applying Discernment in Life Off the Mat, How to Be an Alchemist and More. Best of all, the benefits are not just for those who can get their leg behind their head. The gifts of this practice are available immediately to anyone with a body, and who is interested in taking the first steps. In this series, you'll have a chance explore the details of the practice that form the essence of its core value. In addition to discussions on yoga and anatomy, Michael will share insights from his Anatomy of Consciousness and Live Food, Life Force workshops throughout the series. All levels are welcome. 1) Anatomy of Consciousness: Navigating the Holographic Universe Revisiting the Yamas and Niyamas. A lecture for everyone, not just yogis. What if our intentions and feelings really do create the world in which we live, and impact others? What if the human heart is the most advanced technology of our time and connects us to our Earth? What if our perception rather than our DNA gives rise to our genetic expression? Are you ready to take a quantum leap into your true potential? Weaving frontier health sciences with ancient yogic wisdom, Michael guides you on a slalom for the mind that opens the doors to your true human potential and the infinite possibilities that exist for you each and every day. Pioneering work in Epigenetic Medicine, Heart-Brain Coherence, and Morphogenic Field Theory provide the springboard for this discussion, which unveils the science behind our intuition, explains the power of the heart, and pushes the envelop of understanding regarding the real potential of our species. We'll also look at Yoga for Everyday - Finding Solace in the Moral and Ethical Limbs of Ashtanga Yoga, The Yamas and Niyamas. This lecture maps out for the student, the psychology for the asana practice and it's impact on stretch physiology as well as how to use the practice as a metaphor for daily living. Energized by Michael’s life long pursuit of understanding our larger role in the cosmos, this talk provides critical information for anyone ready to step into greater consciousness and vibrant living. Bring your questions and join Michael Lear for an intriguing and inspiring presentation that awakens your inherent joy and activates the next level of your conscious participation in the “Living Matrix” of life. Void of this internal focus, this invisible practice, one experiences Ashtanga yoga or yoga in general as mere bending, mere calisthenics, absent of healing energy and deeper, spiritual meaning. By fusing the breath, bandhas and dristhi, we quiet the mind and achieve the deeper meditative and life-renewing aspects of the Ashtanga practice. We establish an internal foundation and find peace within ourselves. Topics to be covered include: Bandha Anatomy/Physiology - Developing Breath Awareness - Steadying the Mind, Developing Equanimity, The Four Purifications (Pranayama*) for Tristana Development, 5 minute Tristana/Bandha practice and Incorporating Tristana into Asana. A study guide is provided. An essential component of the Ashtanga practice or any flow series, is the vinyasa (synchronizing breath and movement). 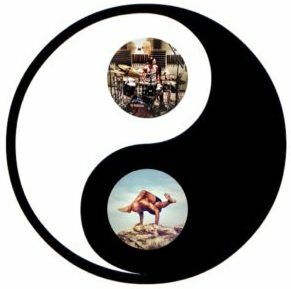 Understanding the dynamics of lifting up, jumping back and through, provide opportunities to develop and integrate our core strength with that of the shoulder girdle, while perfecting our breath and establishing our own relationship to flow. Through a progressive series of partner work exercises, and discussion, participants will establish awareness and control of the bandhas to access lightness and grace to take full advantage of healing power of vinyasa. Other topics covered include: Realization through Repetition, Benefits of Self Practice, Techniques for Developing Deeper Focus, 5 Minute Bandha Development Practice, Understanding Kinetic Chains and Embracing Injury as Teacher. Drawing on the wisdom of a variety of Ashtanga teachers, we’ll examine the postures up to Navasana, the pinnacle of the Primary Series, to gain a better understanding of each posture's unique energetic dynamics, the placement of vinyasa and establishing one’s individual practice rhythm. Advanced Asana - A Deconstruction of Ashtanga’s Intermediate Series, Nadi Shodhana. 5) A deconstruction of Ashtanga's Intermediate Series, Nadi Shodhana. With its emphasis on back bending, spinal twisting, leg behind the head and inversions, the intense, energizing flow of Intermediate series cleanses the subtle energy body and complements the primary series practice. Throughout the class Michael will share insights from his Anatomy of Consciousness and Live Food, Life Force lectures that will aid in the emotional cleansing often experienced during the practice. Modifications for the safe explorations of the sequence will be reviewed. This workshop is suggested for those who have a consistent practice...not suited for beginners. Embrace, understand, and master these powerful and beneficial asanas through a thorough invigorating and empowering exploration of the anatomy and dynamic energies of common back bends and inversions. Through lecture and demonstrations, participants will become familiar with the structure and function of the legs, spine, pelvis and shoulder girdle, and through practice they'll learn proper ways to work safely towards full expression of back bends, dropping back and inversions. Also covered will be preparatory exercise to ensure proper alignment and to build upper body strength, and "research" postures to awaken the illio-psoas and greater pelvic and spinal extension. Arm balances and Inversions present unique challenges for us to develop lightness, concentration and strength, while maintaining the grace of our breath rhythm. We'll explore the anatomy of the shoulder girdle, upper back, abdomen to better understand the muscular relationships and kinetic chains that make this possible. From the ground up, you'll learn up how to establish a solid foundation from which to balance and invert. We'll also review the dynamics of Vinyasa ( lifting up, jumping back etc.) that develop our lightness, and touch on back bending as a method of cooling down. 8) Functional Yoga Anatomy: The Spine, Shoulder Girdle, Trunk, Pelvis/Hips, Leg and Knee. Functional anatomy and stretch physiology explored in the context of postures will provide you with practical knowledge of the your body and how it opens so you can optimize your practice and avoid injury while utilizing the asana system to heal and awaken the body. Psychology of practice, energetic economy (Bramacharya) during practice, bandhas and breath, will also be discussed. We’ll also review the fundamental principles of the Trager® Approach at the core of it’s efficacy, which will be helpful for teachers and for giving adjustments or going deeper. Great review and Continuing Ed for YA certified teachers. Everyone wants to feel their optimal, vibrant self. Coming into alignment with a diet that nourishes our cells, is easy to metabolize and clean up afterwards, is essential to preserving and increasing our life force energy. In a non-dogmatic fashion, this lecture will address the state of global health care, the population’s poor health, and diseases of affluence as an impetus for dietary change. Simple solutions and strategies for incorporating higher, nutrient dense foods into your diet and overcoming barriers to lasting change will be introduced. Referencing research into the inherent life force contained in raw plant-based whole foods, we’ll take a look at cleansing and fortifying the body and other sources of nutrition including biophotons, healing energy, electromagnetic field coherency, super foods, community and emotions. The of work Dr. T. Colin Campbell, Brian Clement and others will be highlighted. We'll review the Neurobiology of Trauma, Common Assumptions in Yoga Classes, Trauma Triggers, Fundamentals of Non-Violent Communication and Self-Care. This class is designed for all teachers wishing to cast the largest net of safety, support and respect for their students and what my lay deep in their history and potential may emerge through the practice. A must for those wishing to teach under-served populations and those incarcerated or in recovery. As a yoga instructor, you’ve become part of the health care system. As one who adjusts others, you are now a therapeutic bodyworker or manual therapist, soft tissue manipulator --any one of these. Learning how to speak to the student’s body with your hands-on adjustment, to put their nervous system at ease and allow it to open so the neuromuscular patterning may be imprinted, requires “communicating” the correct message when the opportunity arises. Without a proper communication, optimal learning may be missed. Learning how to incorporate the principles of The Trager® Approach and Mentastics® into your work will enhance your adjustment efficacy and having both your students and you feeling great afterwards as well. Utilizing gentle touch and movement, The Trager® Approach remains one of the most innovative and effective forms of integrative movement education and bodywork that facilitates lasting release of muscle holding patterns that manifest as pain and functional limitation. The fundamental principles of the Trager® Approach at the heart of its efficacy. Mentastics® Self Care Movement exercises to keep you comfortable while you teach and which may be applied guiding student's self-inquiry to optimize asana practice. Through a mini-session protocol, we explore how to adapt those principles to your present style of work. All workshops may include the following: Discussions on Energetic Healing, The Morphogenic Field/The Living Matrix, Healing Intention, and Research by the Institute of Heart Math, Live Nutrition and the best stuff ever! *This workshop will include a full Mysore morning practice and two adjustment modules each day. WORKSHOPS MAY BE COMBINED FOR A 1 OR 2 DAY WEEKEND INTENSIVE EVENT TO MEET YOUR YOGA COMMUNITY'S NEEDS OR AS PART OF A 1 OR 2 WEEK LONG MYSORE SERIES AT YOUR STUDIO OR RETREAT CENTER.